Inspired by a trip to the ocean. 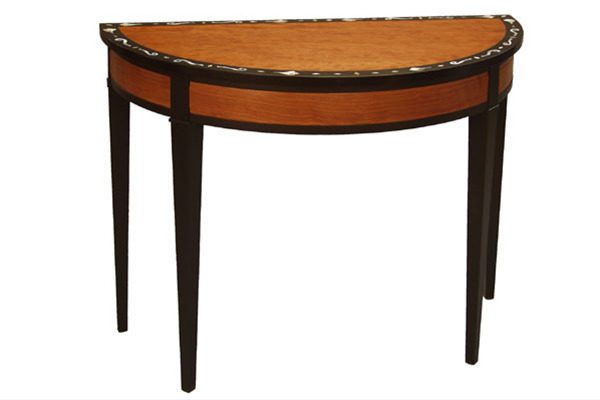 Natural cherry console with black paint, ebony, and covered with mother-of-pearl and abalone inlays in a shell and wave motif. Custom inlay suggestions welcome.